A rigorous series of mathematics books for IB students around the world. Comprehensive mathematics books for Australian students. Engaging textbooks to prepare Cambridge students for their final years of high school. A thorough series of UK books for GCSE and AS & A level. Haese Mathematics books can be purchased directly through our website. 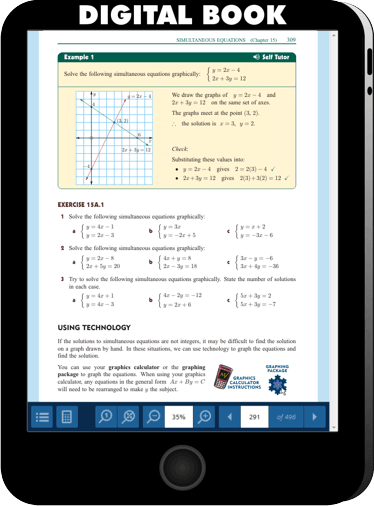 Infinity allows you to quickly generate your own tests, exams, and workbooks. Snowflake brings textbooks online with animated demonstrations, games, and software.